Microchipping Your Pet: Is It Worth It? It is very unfortunate that hundreds of canines and felines go missing every day. Most of them are found and handed to the local animal shelter but most of the time they can’t go back to their owners. In some cases, some of these animals are even euthanized. Although some animals have identification tags or collars, due to the elements, these collars often slip off or the writing has become illegible. In a recent study that involved more than 7,000 stray pets, only 22% of the non-microchipped animals were returned to their owners. 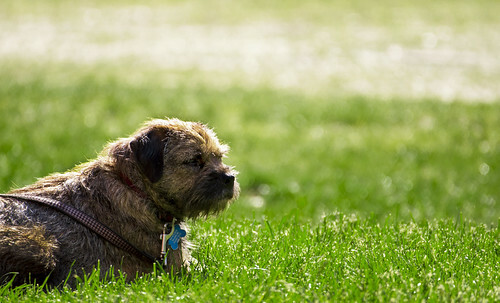 As a pet owner, you don’t want your chances of finding your beloved lost companion animal to be as low as one in five. Thankfully, there is a solution to keep your pet safe and increase your chances of finding him in case he loses his way. This solution involves having a microchip injected into his body. Microchipping: What Is It And How Is It Done? This process can be done in a short amount of time. In fact, it only takes the same amount of time as getting any kind of injection. It is recommended that a licensed veterinarian should do the job; although it doesn’t have to be a vet. The injection may only take a second but the paperwork involved will take more time. According to the veterinarian at miamianimalhospital.com, microchipping is an excellent way to ensure that your companion animal never gets lost. With the use of the needle, the chip is placed under the pet’s skin. It is usually placed between his shoulder blades. This is a unique chip that can be read by a scanner. This allows your pet’s contact information to be stored and recalled easily in case they do get lost. This chip will store information, such as your address and contact information so that the local animal shelter can contact you once they found your pet. No matter what your pet is- whether it’s a dog, cat, ferret, or a horse, you can consider implanting them with a microchip. Once the chip is implanted, you must register your contact information on a database. You will need to pay a small registration fee. Otherwise, the chip will be scanned but it won’t list any information making it worthless. If you move to another location or change your contact information, you should update the information on the chip as well. Is It Painful Or Dangerous For My Pet? Injecting a microchip into your pet’s skin doesn’t hurt so much; although he may feel a little pinch. There are some pet owners who prefer to have their pets spayed or neutered before injecting them with a microchip to keep them from feeling any pain. You might be wondering: “Is microchipping dangerous?” “Does it have any side effects?” It’s only natural to be worried about your pet’s safety and wellbeing. You need to know that there have been cases of complications but they are very rare. For this reason, although it is not mandated by law for a veterinarian to implant the chips, it is still recommended because it is important that the chip is properly injected. Does it cause tumors? There have been cases wherein the animal developed tumors where the chip was implanted; however, it is a rare case as compared to millions of animals that have been implanted with a chip. Therefore, microchipping your pet has low risks. Keep in mind though that it is entirely up to you to weigh the pros and cons of this procedure. Kris Hopkins promotes animal welfare. In this article, she discusses the importance of microchipping animals to keep them safe. This entry was posted in Pets & Animals and tagged active community, Best Places to Retire, Brunswick lifestyle, Brunswick Plantation, condo at the beach, eco friendly, Energy Star, gated community, Golf Resort, north carolina, Pet Tips. Bookmark the permalink.